It was just like the night before and the one before that. It had gone on for weeks, maybe months, I can’t remember. The wind howled outside and it was freezing cold. The bed of coals in the fireplace came to life as I put on some kindling and waited. 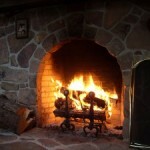 That old fireplace, my tears and I had become partners during many long nights that winter. We shared many long and lonely hours when sleep refused to come. As the flames began to grow I crawled up on the hearth as close as I could get to the warmth, most of which escaped up the chimney like most everything we had. When you’ve lost everything and there’s nothing left to lose the bottom feels like a cold basement floor. And that’s where we were all those many years ago. Everything was gone, the business, the only house we had ever had, all of it. We both felt lost, living up there in that little mountain cabin with no heat. Well there were electric wall heaters but if I turned them on I couldn’t pay the bill. That big old fireplace kept us warm and late at night it kept me company. It seemed like God was nowhere near, I couldn’t find Him anywhere, let alone feel His presence. I cried out to Him night after night but all I heard was the howling wind blowing down the mountain pass. I have never felt as alone as I did those long winter nights. It felt like my life had been a failure and that everything I had accomplished had gone up that chimney like a wisp of smoke. My time in His Word seemed pointless. There was no revelation, no comfort and seemingly no hope. I wondered if this was what it meant when you finally came to the end of yourself. Was it at that point that God disappeared as well? Were you simply left to ponder what was and what could have been? When you have tasted the presence and love of God there is simply nothing that can take its place. I was left with the only answer I could hold on to; my failures had even turned God away from me. My despondency and longing for His presence was taking a heavy toll on Diane. The always up, never give up, never say die me was on the shelf somewhere gathering dust. I’ve been here every night, sitting on this cold hearth with you, but you never looked in my direction. You have been looking out there somewhere and I’ve been in here. Night after night you have played that same song, but you never let play what comes after. I have never left you, not for a moment. You have forgotten where I am. I have been reminded about that moment every day for the past week. I have completed all the research and compiled all my notes for this next book and within all that work was the simple theme for the book. As I studied the Song of Solomon for weeks the Holy Spirit kept showing me how much Jesus loves me and how He sees me. Song 6:1-3 Whither is thy beloved gone, O thou fairest among women? whither is thy beloved turned aside? that we may seek him with thee. 2 My beloved is gone down into his garden, to the beds of spices, to feed in the gardens, and to gather lilies. 3 I am my beloved’s, and my beloved is mine: he feedeth among the lilies. Our bridegroom waits for us in the special garden He has prepared for each one of us. It’s a beautiful garden in our heart where He has built a bench for two. That is where He will be found, that is where He waits for us. A quiet place where He feeds us and nourishes the protected spring of living water that wells up inside our heart that flows out to those around us. Where the wind of His Spirit carries the fragrant spices of the gifts and graces He has put within us. It is a garden we can enter anytime and as often as we desire. Oh how I remember that dark night when I heard His voice. Instead of hitting the repeat button on track 10 I let it play all the way and my heart was filled with a joy that I thought had been gone forever. That night changed my life forever. Oh, it wasn’t immediate, in fact it was a long and dark journey through the valley but I knew were Jesus was. I knew where He’d be whenever I needed Him. He is always sitting in my garden, just waiting for me to take time to sit with Him on our special bench. Taking time to feast on all that He has put in my garden, the garden He helps me tend by pulling some weeds now and then. The beauty He nourishes out of the seeds He has planted in me and continued to water and tend. It’s a garden that He showed me when I let the rest of that CD fill my soul. That’s what awaits us in our garden. We are His temple and His majesty fills us with as much of Him as we will allow to come in. It is our option, we can spend time in His garden or we can choose to look for Him elsewhere. Yes, there are times He will let us find Him “out there” but it is always with the intention of getting us to come back to His garden … His home in our heart. Do you find yourself in that place where I was? Are you trying to warm yourself with something on the outside and finding nothing but coldness on the inside? Does it seem like God has abandoned you in your difficult place? If so I want you to come back to that night with me long ago. 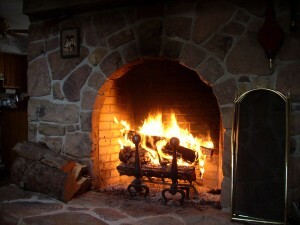 Sit with me on that fireplace hearth and let the Son warm that part of you that the fireplace can’t touch. I was fortunate to locate that CD on the Internet and I encourage you to close the door wherever you are and let the powerful words of these three songs open your heart to Jesus’ loving touch. Unfortunately the tracks aren’t easily selected so just begin listening around 19:40 and let it play to the end. I promise you that no matter how far away you think He is, He is sitting right next to you on the bench He built for just the two of you in His garden. Take the time and I promise you will be blessed. As the words unfold let them be your prayer. Open your heart and tell Him … I just want to be where you are, dwelling daily in your presence. I don’t want to worship from afar, drawing near to where you are. He is there in His Holy Place, His secret place, just waiting for you every moment of the day and night. It’s His holy place, His healing place and you are His number one concern. Let Him warm your cold winter night.